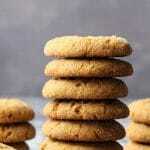 Vegan Snickerdoodles – Soft and Puffy! 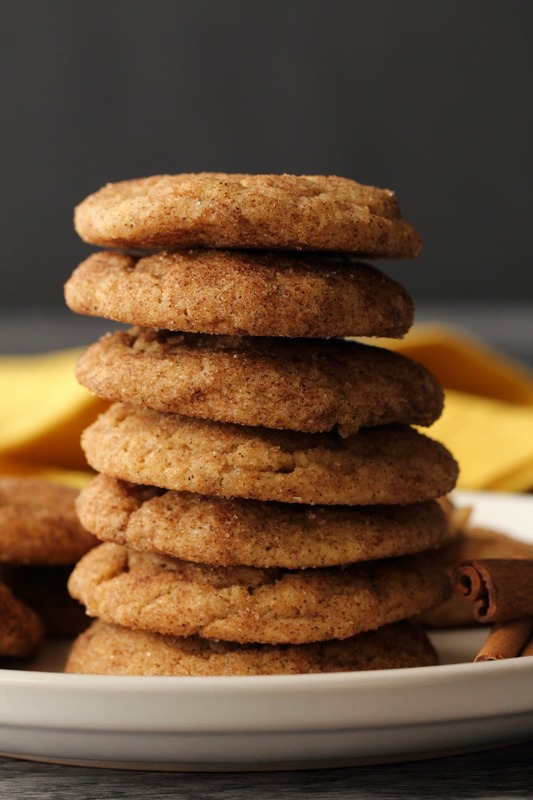 Vegan snickerdoodles! They are my new favorite! 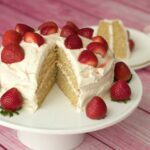 So simple, so good and so quick and easy to make! 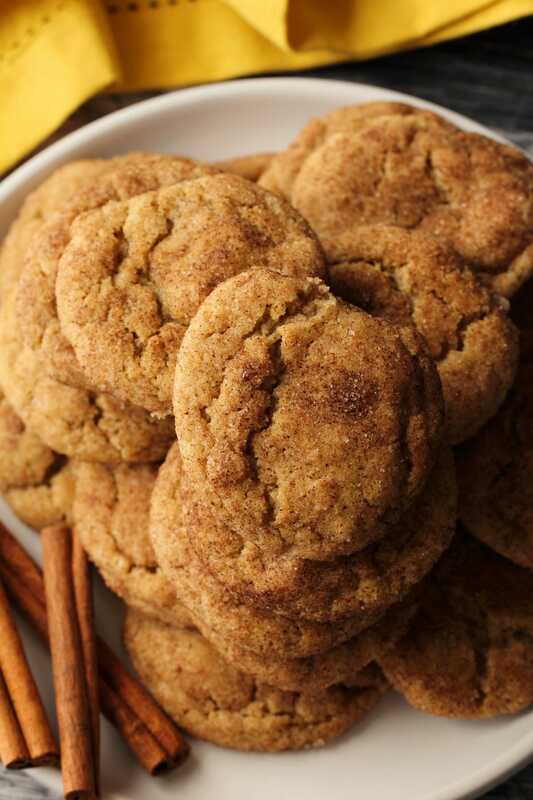 They are very much like sugar cookies, just dressed up in a lot of cinnamon sugary goodness! 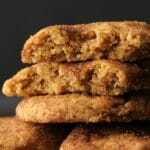 The trick to some good vegan snickerdoodles is that they need to be soft. So you definitely don’t want to bake them too long. You also want them to be nice and thick, so don’t roll those balls too small. 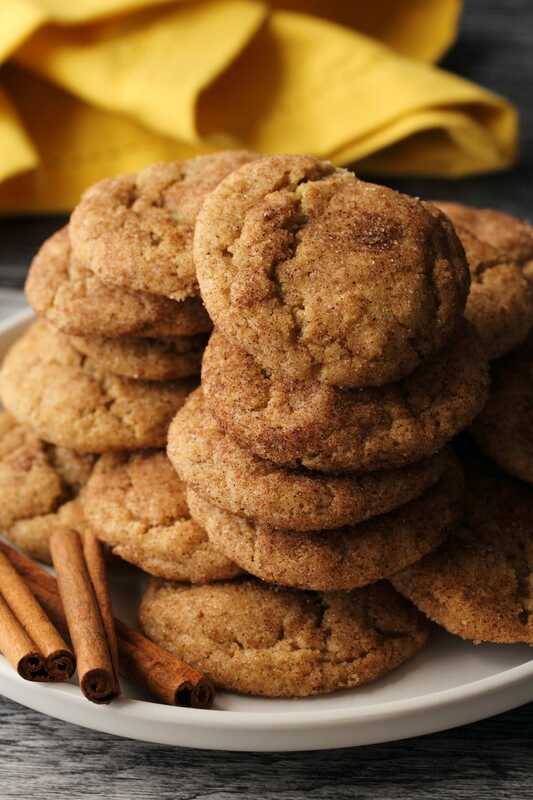 You want nice and thick, pillowy soft snickerdoodles. So aim for around 20 cookies from your batch. If you get a couple more or a couple less that’s totally okay too. 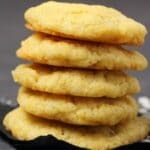 Making these cookies is so quick and easy that once you’ve got the hang of these you’ll never need to buy cookies from the store again! You just cream together some vegan butter and sugar. Add in some vanilla and apple cider vinegar. Then in a separate bowl mix flour, cream of tartar, baking soda, cinnamon and salt. Add to the butter and sugar mix and mix in together (by hand, don’t use the electric mixer for this part). It will be quite dry and crumbly at this point so now you add in a touch of soy milk (or other non-dairy milk as you like) to get it to perfect dough. 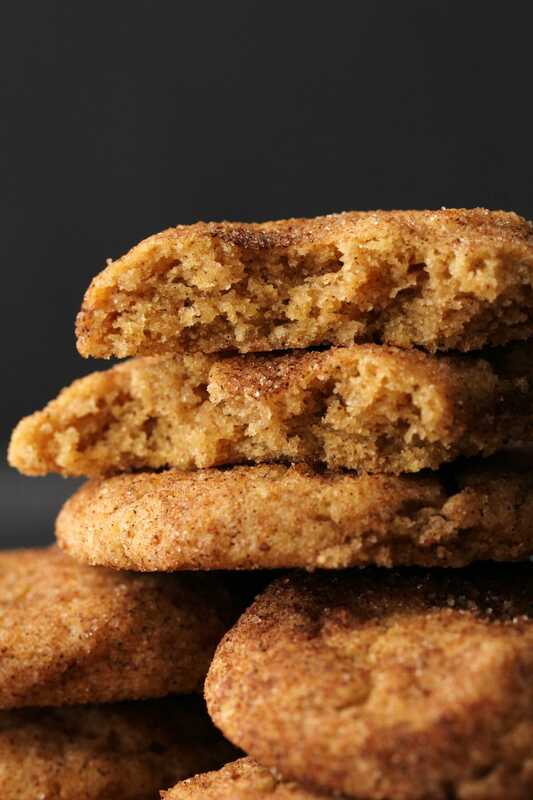 Roll into balls and roll the balls in cinnamon and sugar, bake for 10 minutes and you have perfect vegan snickerdoodles! 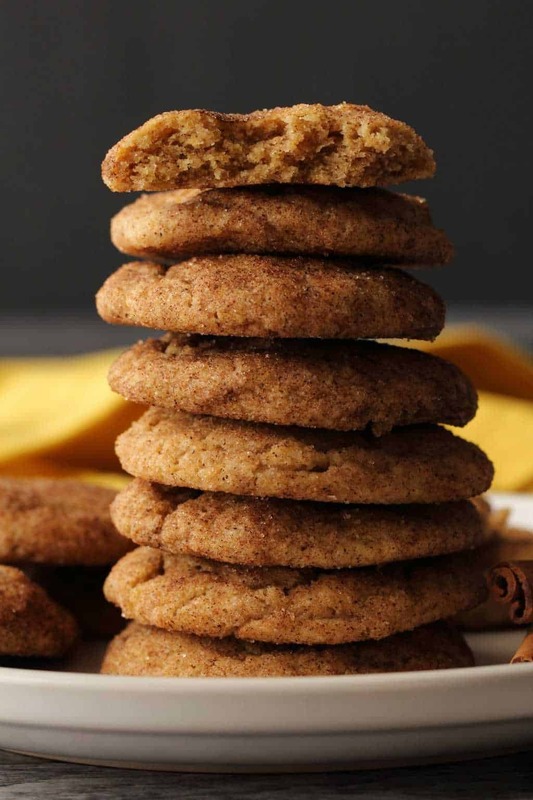 Really, if you decide right now you’d like some vegan snickerdoodles and have all the ingredients on hand, you could have a freshly baked batch in front of you in 25 minutes from now! Very tempting isn’t it? 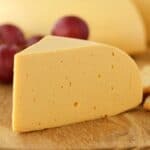 Keep them stored in an airtight container at room temperature where they will stay fresh for up to 7 days. 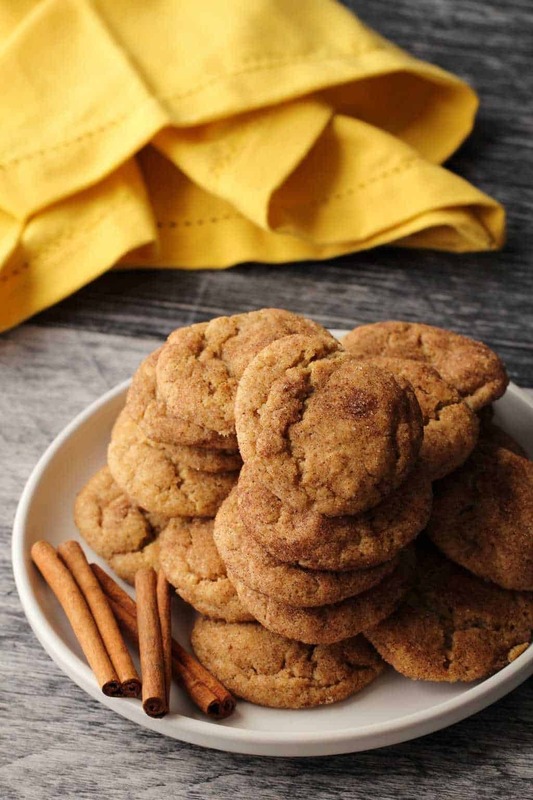 What do you think of these gorgeous vegan snickerdoodles? Let us know in the comments and please rate the recipe too! Thanks! Sign up to our email list for a fabulous free recipe ebook and to stay updated with all our latest recipes posted to the blog! Soft and pillowy vegan snickerdoodles! 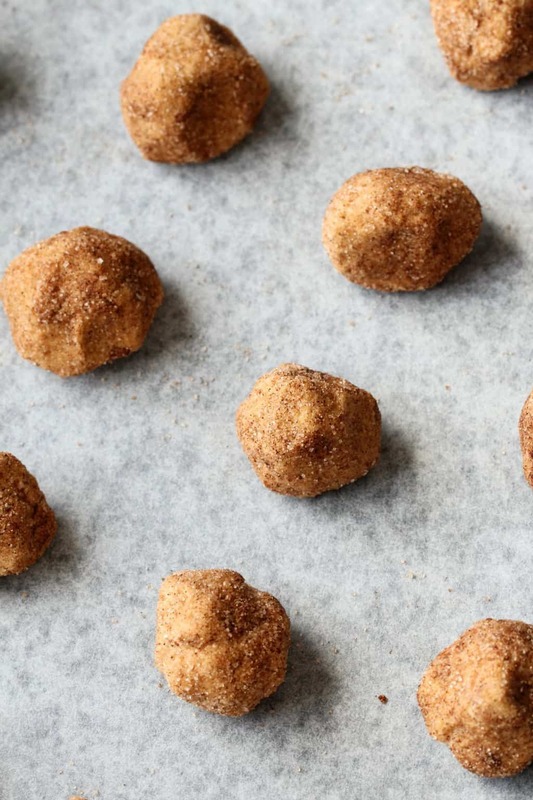 These puffy and delicious cinnamon-sugary treats are so quick and easy you’ll want to whip them up every other day! Add the butter and sugar to an electric mixer and cream them together. Add in the vanilla and apple cider vinegar and mix in. Add in the flour, cream of tartar, baking soda, cinnamon and salt and mix in by hand (don’t use the electric mixer for this part) until it forms a crumbly dough. 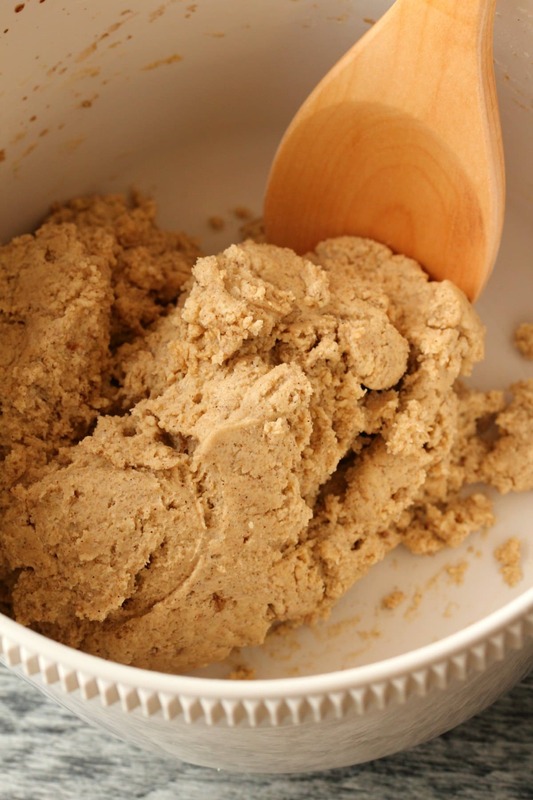 Then add in the soy milk so that it forms into a proper cookie dough (as pictured). 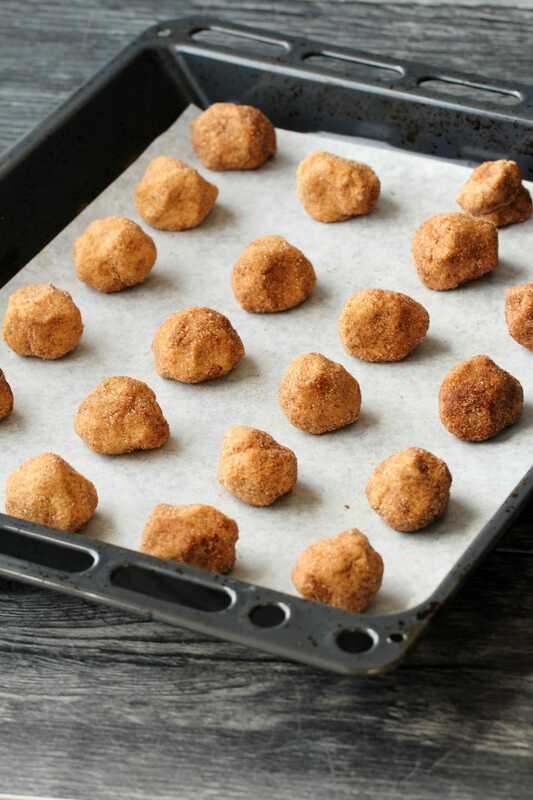 Roll the cookie dough into balls and then roll the balls in the cinnamon and sugar mixture and place them onto a parchment lined baking tray. You can sprinkle more of the cinnamon sugar mixture on top of the balls before they go in the oven. *If you use a brand of vegan margarine that is very hard i.e. not a spread, then it’s possible that you’ll need to use a bit more non dairy milk, just use as little as possible. Previous Post: « Vegan Mozzarella – Stretchy, Melty and Divine on Pizza! Wow! These came out so good! They are soft and chewy. I replaced half the butter with unsweetened applesauce to cut some of the fat and they were excellent. Loving It Vegan recipes have not let me down yet 😎. i made these with non hydrogenated shortening as i didn’t not have enough vegan margarine. i also used 2 tsp baking powder instead of the soda/cream of tartar. they puffed up but deflated when cooled to the perfect consistency. i also used 1/3 almond flour that was left over from baking for a gf buddy. these came out moist and delicious. can not wait to make again! 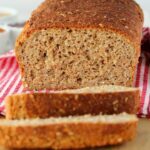 I made this recipe with I can’t believe it’s not butter spread, which was creamy enough that no milk product was needed. Great recipe! 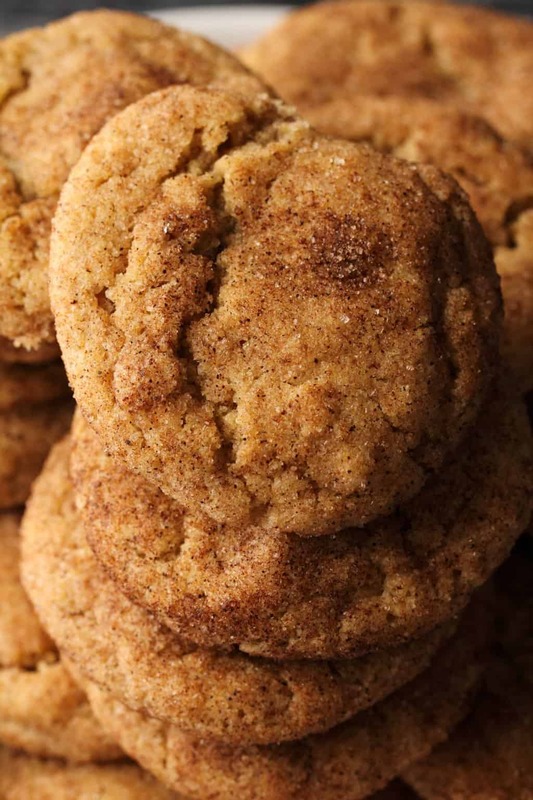 The best snickerdoodle recipe ever, declared by my family, extended family, my friend’s grandma, my sister’s coworkers, and many of my friends! And, get this, none of them are vegan! They are delightful, soft, pillowy, and stay that way for a whole week (if they don’t all get eaten before then). I’ve made a few modifications, first starting with the butter and sugar. I cream it until it almost looks like frosting, and then I add the dry ingredients in two tablespoons at a time until all is added. Then next modification is that I add in about 4 tablespoons of plant milk (I used cashew). And, for the rolling, I use more sugar to cinnamon for a lighter looker. I tried this recipe yesterday! While they tasted great, I didn’t get the right consistency. They didn’t get soft and fluffy and didn’t flatten as good as the ones in your picture. Any ideas? Did I over mix the dough? I did use coconut milk instead of soy – otherwise followed the recipe. Thanks! I just made these for the first time and they are amazing!!! 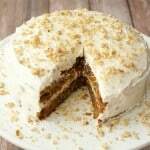 Thank you for sharing the recipe…these will definitely be a regular in this house! I just made these and they had a terrible baking soda flavor and I only used the 1 tsp. They also didnt puff up but flatter crispy cookies are still ok by me, but that flavor was so bad! I dont know why they would have tasted like that! 🙁 it must have been something I did, these cookies have such good reviews! Hi Lilah, that is very strange! Did you use a standard tsp measure? It should be flattened off at the top and it should be a standard tsp measure. I can only think you may have accidentally used more than the recipe calls for because 1 tsp of baking soda is not a lot and is a usual amount to use in a cookie recipe. I used the standard tsp measurement. Not sure! Maybe Ill try them again sometime because the dough was yummy… earth balance aint cheap though! 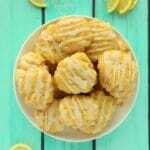 I just made these again this weekend and they were excellent, although once again I had to add more moisture than the recipe calls for, in the form of a little more soy milk and a bit of canola oil. Could it be that you didn’t use enough vinegar or cream of tartar? That would result in getting a metallic-type taste from the baking soda. I also had to use more almond milk as my dough was not coming together, even when mixing by hand. I used the right amount of ingredients otherwise 🤷‍♀️. 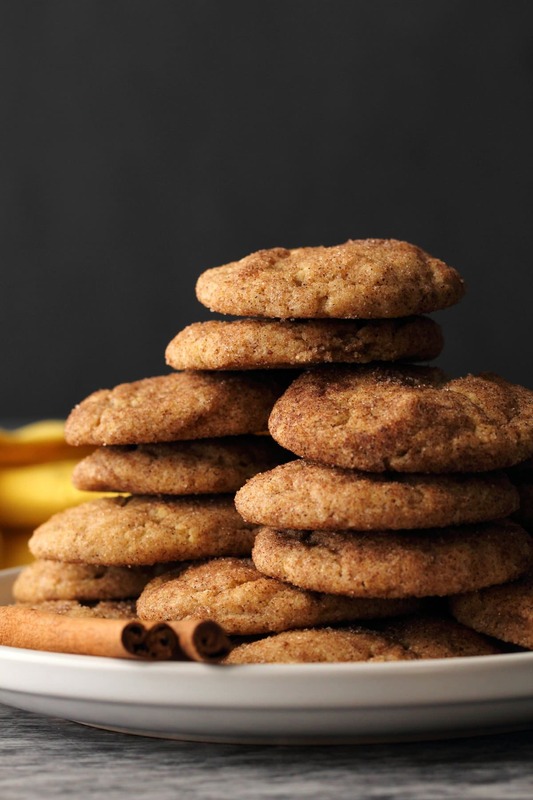 Made another snickerdoodle recipe recently but it called for lemon juice instead of tartar and it used baking powder, not soda and they tasted fine. I probably messed this recipe up somehow! This recipe is amazing! Thank you for sharing. 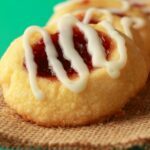 These were SO easy to make and my whole family (including a picky 6 year old) absolutely adored these cookies. 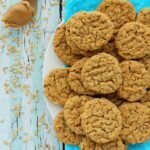 I’m looking forward to trying these soon as they are my favorite cookie! I am wondering is there a vegan brand of white sugar? Because white sugar is filtered with bone char, making it non vegan. Thanks in advance! Hi Britt, hope you’ll enjoy the recipe. White sugar absolutely is vegan, though certain companies in the USA still use an outdated method of processing which involves bone char. In much of the rest of the world these methods have not been used in a long time. It’s very easy to find a brand that doesn’t use these outdated methods even in the USA and we leave it to our readers to do their own research on that (if needed). So Delicious! I made these a few weeks ago because I was bored and I ended up eating the whole tray of cookies myself, oopies! They’re perfectly firm on the outside and sooo fluffy and soft on the inside. I made them again a few days ago and brought them to school for some teachers and friends – everybody loved them! 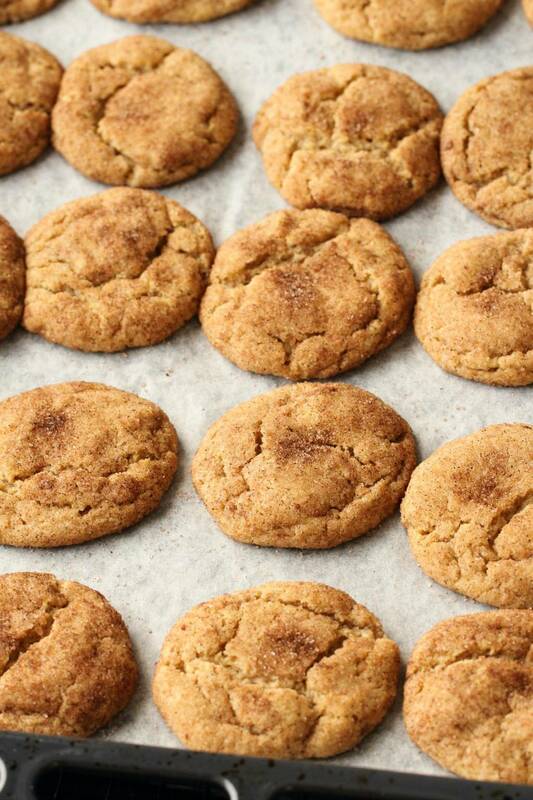 Non-vegan snickerdoodles don’t compete. 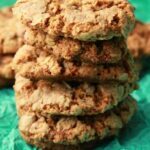 This is slowly becoming my favourite go-to cookie recipe! Easy to assemble. Huge hit with everyone! Thanks so much. As noted I added maybe another 1 TBS of almond milk to make the dough the correct consistency. Also, next time, after rolling the dough balls in the sugar/cinnamon, I’ll use a sieve to put more over the top of them before going in the oven in order for it to be uniformly applied.